The global nature of the sport makes for a near-constant cycle of traveling, jets and the lag they cause. At the end of the season, when players hop continents quicker than you can say ‘Foot fault!’ while looking towards a deserved vacation, the match against jet lag seems unwinnable. During the week at the BGL BNP Paribas Open in Luxembourg, René Denfeld sat down with a few players and asked them how they deal with jet lag and changing timezones. “I’m not really an expert, you know — I’m always struggling with it,” Jelena Jankovic joked, when asked to provide some insight on one of the biggest struggles for a tennis player. After already triumphing in Guangzhou to begin the Asian swing, the 30-year-old Serb captured the Hong Kong title over Angelique Kerber on Sunday and arrived on site in Luxembourg late Monday evening tired, but happy to return with two trophies in her bag. “I’m not sure I’m the adequate person to ask that question [laughter],” Jankovic said. “You know, for example, if you come with an early flight and you arrive somewhere — I try to stay awake the whole day and kind of tire myself out so that I’m exhausted. Then I can sleep the whole night when it’s night, you know. That’s one thing. “Another thing is…when you cannot sleep or something, it’s not your time where you are, you can take something — you know, melatonin or some kind of sleeping pill if you cannot fall asleep,” Jankovic said, eliciting more laughter. 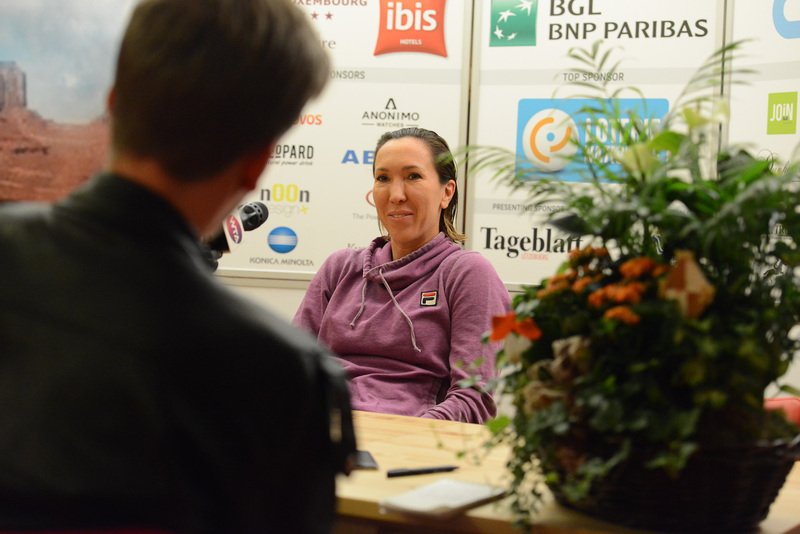 Unlike Jankovic, Watson arrived a bit earlier in Luxembourg — despite also spending several weeks in Asia — without feeling any jet lag whatsoever. “I was booking my flight back and I thought to myself, ‘This is my last long flight of the year — I cannot go economy or I’ll just die, so I thought, I’ll just spend my miles and upgrade myself.’ So I clicked business and thought, “Oh my god, I’m gonna be able to use this many miles and it’s still be well above 500 pounds,” the Brit sighed. Upon revealing how much it actually was, Watson broke into a bright smile. Although Watson fell to No. 2 seed Ana Ivanovic in the first round of the singles event, she and partner Tatjana Maria reached the quarterfinals in doubles — giving No. 3 seeds Mona Barthel and Laura Siegemund all they could handle in a 4-6, 6-4, 10-8 match. 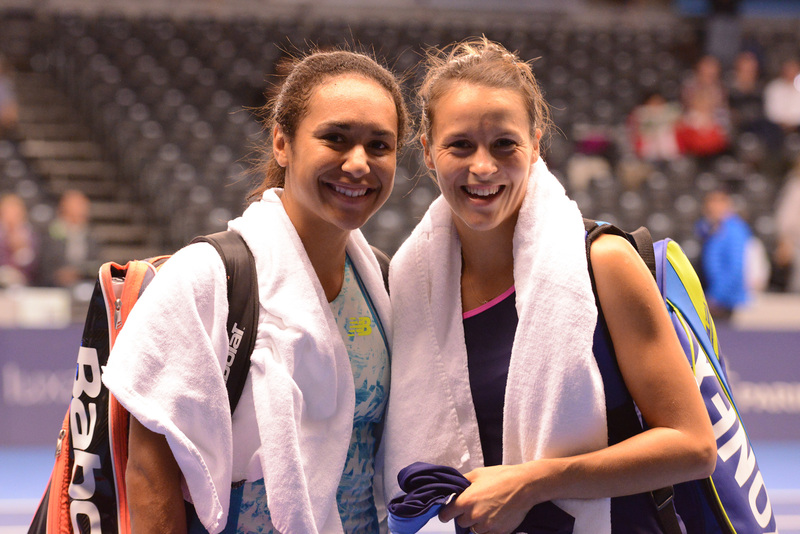 Jankovic was all too happy to agree with Watson on the need for sleep. Ever the entertainer, the Serb said slumped into her chair and pretended to crash out — for added effect?